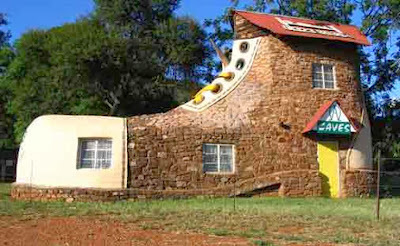 "I guess when you turn off the main road, you have to be prepared to see some funny houses." I recently went on a research rampage, curious about houses that people build in all parts of the world. 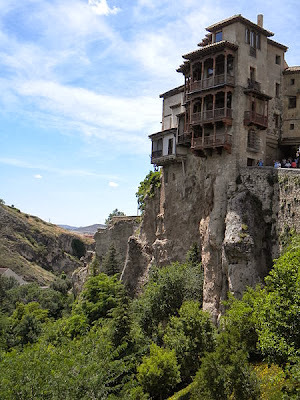 I guess a part of me was just tired of looking at my own house, my neighbors' houses, the houses I pass by everyday in my town, and houses in this part of the world in general. Made of the same materials, of nearly the same design, and within the same environment, houses in the same general area tend to look similar to each other. I was looking for houses that are really unique, and those that would tickle my imagination. What I found were exciting houses. 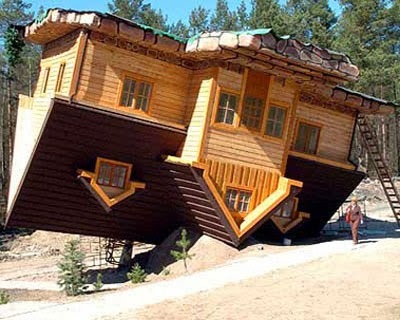 Their builders must be crazy to even think of constructing these houses. And the owners who live here, well, they must be some kind of cool! 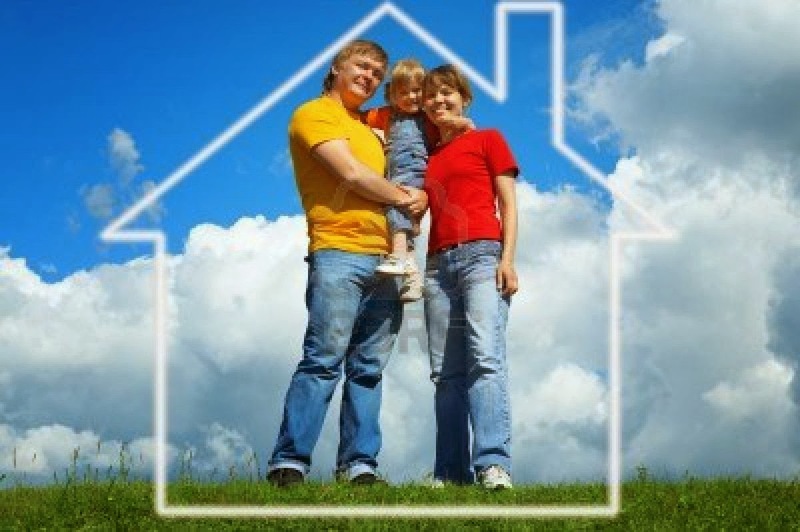 The good Earth is used as walls to keep the indoor air temperature stable. 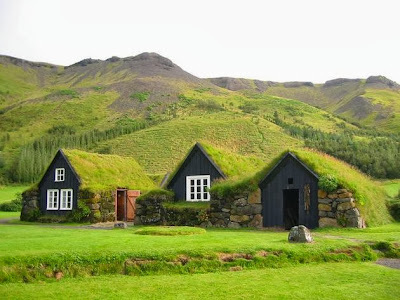 These houses look cozy. And all that green! I wonder if you have to trim the lawn in your roof occasionally? 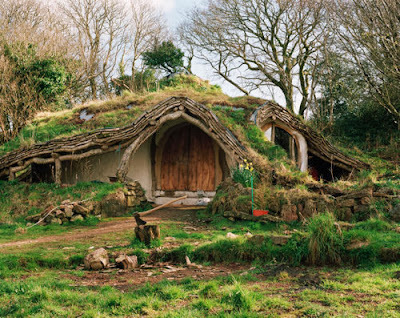 A real hobbit house in Wales. 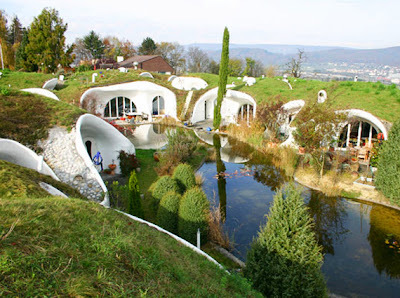 This house looks like it stepped out of the pages of the popular books The Hobbit and The Lord of the Rings Trilogy by J.R.R. Tolkien. With round doors, round windows, round roofs, and barely any straight lines anywhere, living in this house would really make you feel that you are in the Shire. 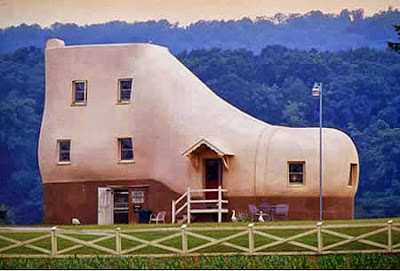 "There was an old woman who lived in a shoe..."
The world today is also at a loss why anyone would want to live in shoe-shaped houses. 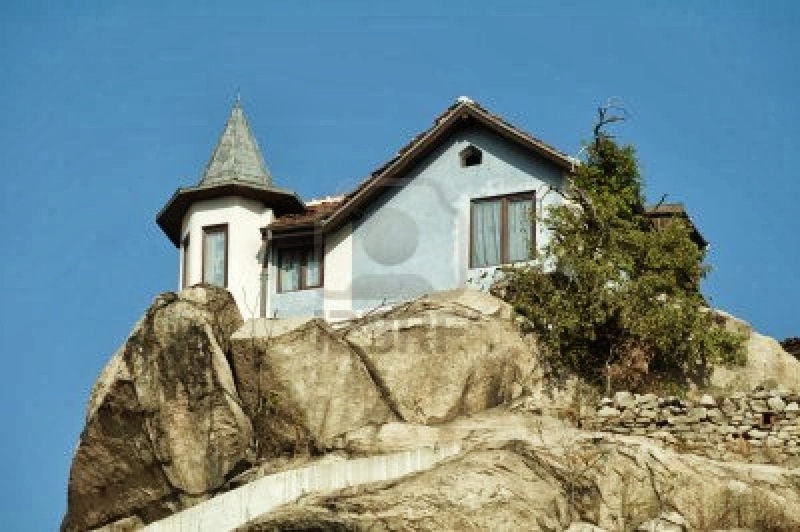 Houses built on top of mountains must make the homeowners feel like they are on top of the world, looking down on creation, and the only explanation they can find... is the love that... oops, got carried away! The view from mountaintop houses is spectacular, the mountain air is fresh. Living there must be the closest to heaven on earth. But the climb down to buy groceries and up again must be hell. 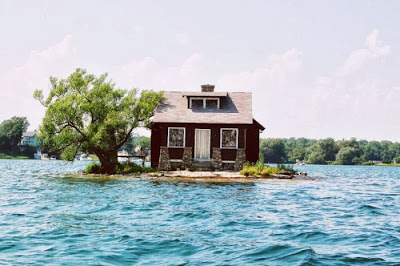 If you are looking for isolation, this house is perfect for you. It brings the feeling of being "shipwrecked" or stranded in an island to the highest level. You can just jump from your window when you want to take a dip at the waiting sea. Water, water everywhere! 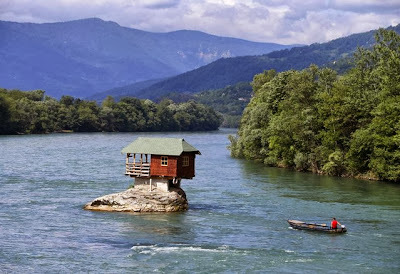 I wonder if it's fish for breakfast, fish for lunch and fish for dinner at this location. But the view is breathtaking! 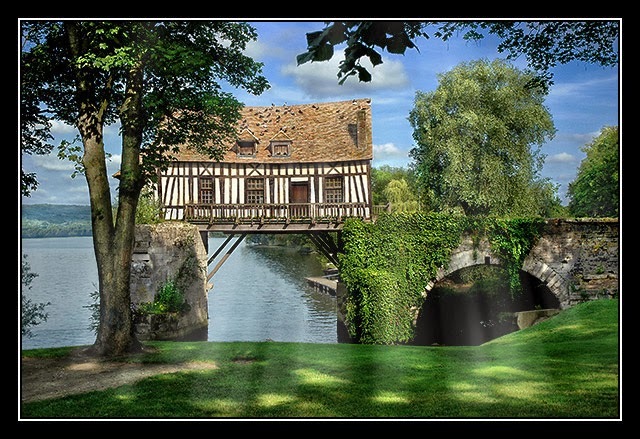 A post-card perfect house! 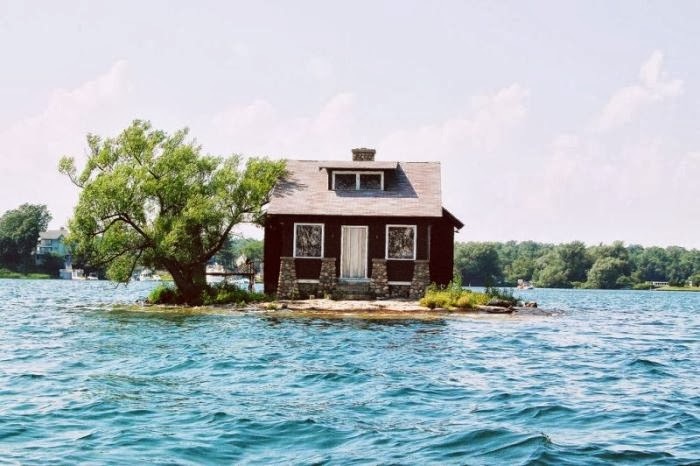 But what happens if it rains, and the water levels rises higher? Scary! 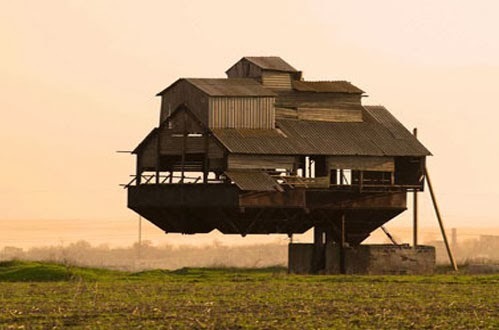 This farm house in Ukraine looks oddly like it is floating, because a single cantilever anchors it to the ground. 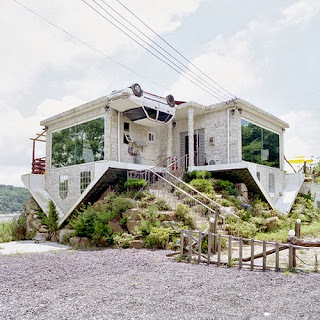 There is no method to the madness here, except maybe the theory that alien architects designed this place. 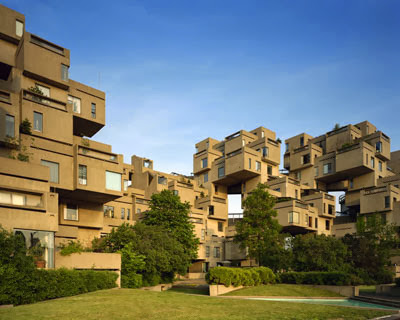 Living in one of the apartments here in Habitat 67 in Montreal is like living in a Lego block. You are stacked with your neighbors, but at least each apartment has its own patio, if that's any consolation. 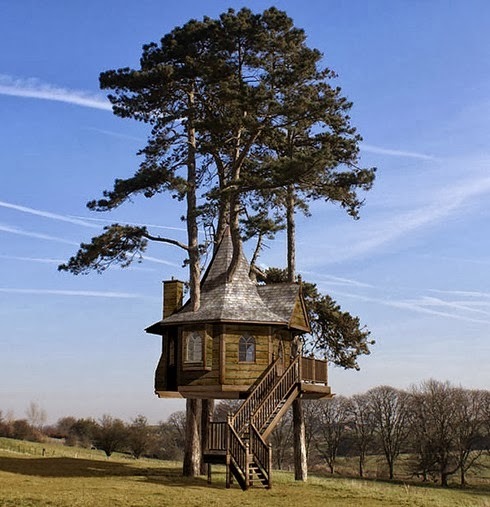 This tree house in Indonesia takes the concept to the highest level. It's not built in the tree, but on top of it. 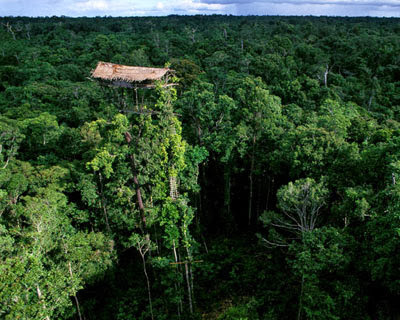 The view of the forest canopy is awesome, but it must be a long climb to the top. 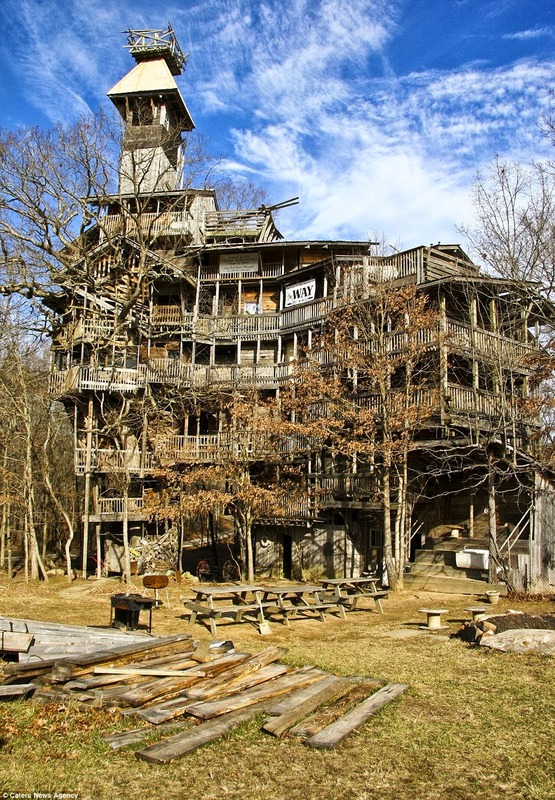 This tree house can accommodate the whole town! If I were to imagine the Elves' dwelling place in Lothlorien, one of the places in J.R.R. Tolkien's Lord of the Rings Trilogy, it would be something like this. This tree house did not harm a single tree in its construction. 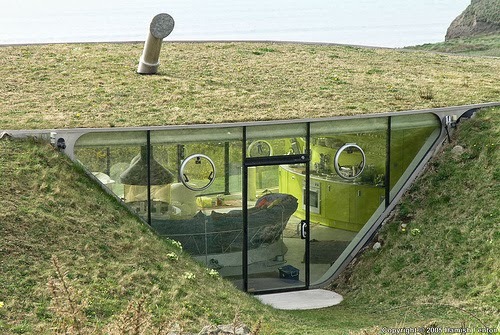 This well-designed underground house is barely visible to casual observers, blending so skillfully with the surroundings. The house offers very little disruption to the surrounding wildlife and landscape. The submerged structures all make up a Swiss estate. The clever design of the house is weather-proof and provides good insulation. When you have money to burn and love the environment, you do what British football star Gary Neville did: try to build a low-impact underground house that will consume very little energy. 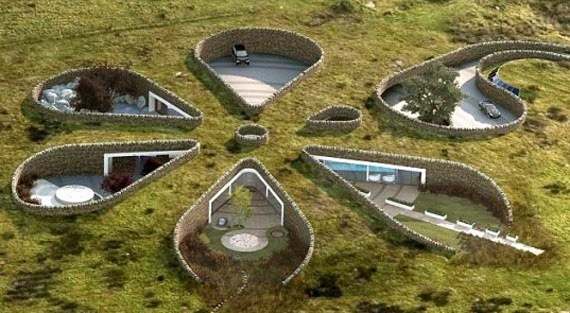 That's the reason for the petal-shaped openings in the house: allow sunlight to come in for lesser energy spending. 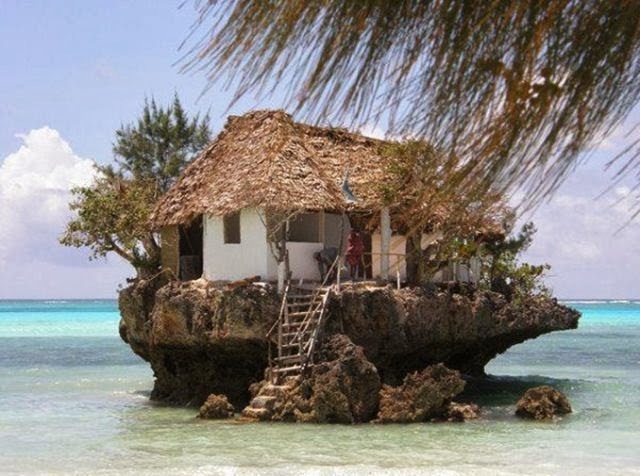 I suppose there is a certain charm to living precariously. Or living life on edge. 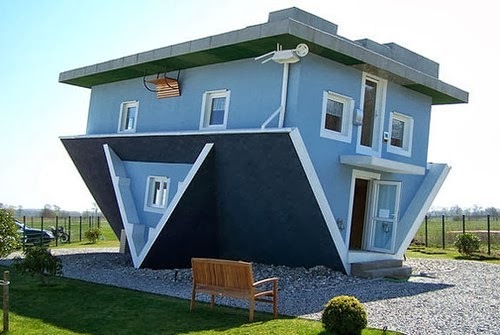 Upside-down houses really escapes the laws of logic. But the study in architectural balance is greatly appreciated here. The house above one looks actually pretty, in a strange upside-down sort of way. Upside down houses are, at the very least, great conversation pieces. The ohs and ahs must be numerous when you throw a party here. If you don't mind getting weird looks from your neighbors first. Upside down houses MUST exist for some reason. This one, believe it or not, is as a form of socio-political protest during Poland's Communist Era. That was quite a fun ride, jumping from house to house, each house with its own unique kind of style and a distinct kind of crazy. After searching those houses for days, I'm quite exhausted, as if I actually went and inspected each one of them. 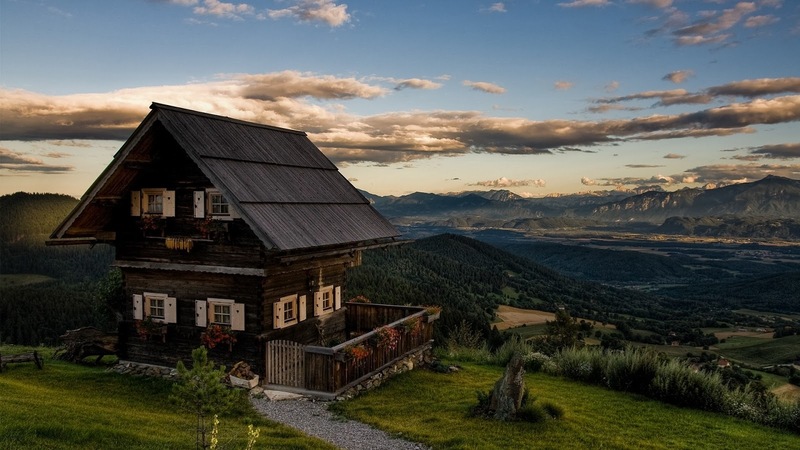 And I have come to a singular conclusion after house-hunting online: the best house ever, no matter the size, the location, the design, is where one's heart truly is. With family and people you love. Without them, you may as well be living in the dumpster.